It's important that all of your hair salon equipment is high quality. This is true for your beauty salon sinks and faucets because they help your business run. 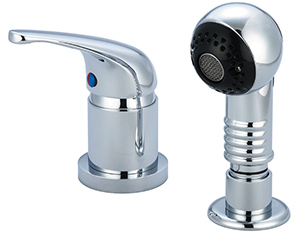 At Chicago Faucet Shoppe, we understand quality, and this is why we only stock top-notch salon plumbing repair parts for when it's time to replace your existing setup. We have a selection of barber shop sinks and shampoo bowl faucet parts available to buy. Whether you want Central Brass, Belvedere, T&S Brass, Chicago Faucets, Symmons or Powers, we have them all in stock and ready to order. 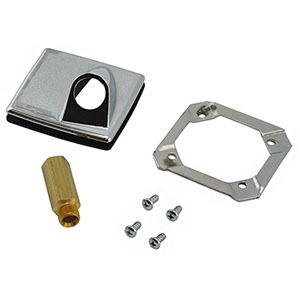 This allows you to repair your worn-out or broken parts quickly and efficiently so you can get your shop up and running again quickly and efficiently. Thermostatic Mixing Valves for under the shampoo bowl will prevent scalding and maintain temperature control. 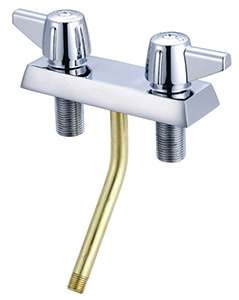 Thermostatic mixing valves are usually required in salons and barbershops.